She’s hated and feared the creatures for years. She’s cowered and fledfrom them. She’s begged and bargained her way out of torture. She manipulated Cardan, a faerie prince, into making an oath of fealty to her, and then tricked him onto the thrown – in Oak’s place. There are traitors all around, the sea is fighting the land, and Jude’s life is threatened from every angle. What has changed? Is he different because I have forced him to be?…Or is he no different at all and I am only seeing what I want to see? Meanwhile, King Cardan has his own plans and schemes – and he sets several in motion, and no amount of commands from Jude could possible stop them all. 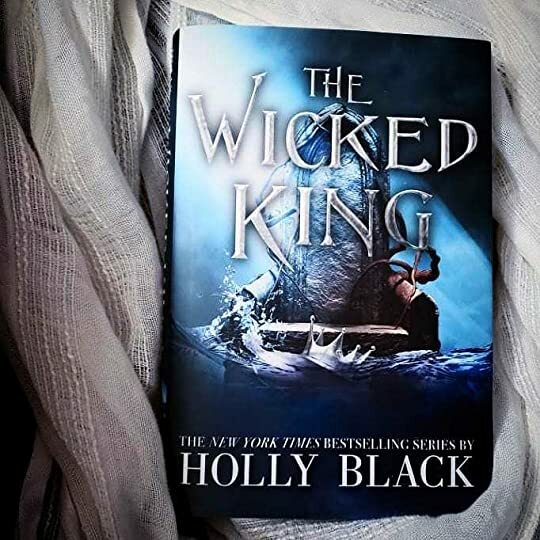 The wicked High King seems to be changing into something…something wholly different. OHMYGOSH – HOW CAN I POSSIBLY LIVE MY LIFE WITHOUT BOOK THREE IN MY HANDS RIGHT THIS VERY MOMENT?????? Those of you who haven’t read it, what in the h*ll are you doing reading a review when you can be reading this book? In short – the sequel was everything I wished for and more. I cannot believe that it was this good. 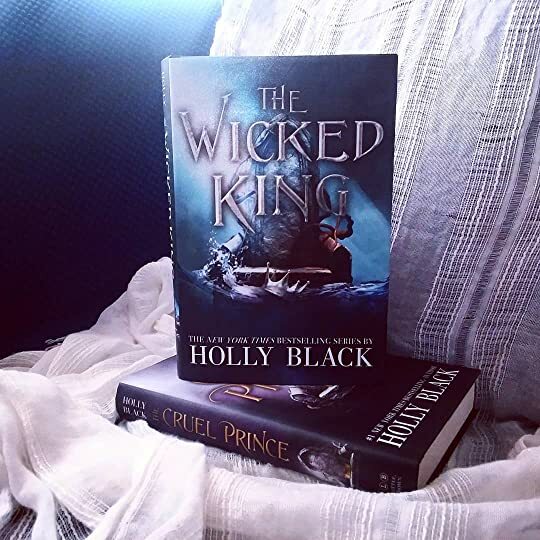 Cardan, the Wicked King, is absolutely wicked in the best way possible. I don’t have enough words in the world to describe how in love I am with him. The way Jude and Cardan dance around each other actually made my heart race – I don’t think I’ve ever been this invested in a relationship before. Simply magical. Speaking of magic – wow! The world of Faerie a la Holly Black is (as always) absolutely stunning. I love, love, love the way she weaves such a complicated web. I could read her world over and over and never be tired of it. The plot was fabulous, the way it slowly picked up speed and that ending – whew. I’m still reeling. I cannot get over everything that happened. Couldn’t tear my eyes away!